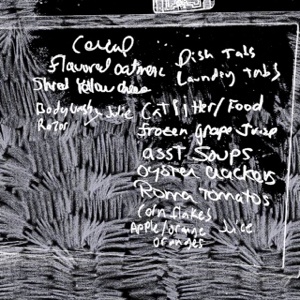 What a great idea ... making our grocery list into an art project would take the boredom out of trudging to the store. Fun way to do a grocery list. The most creative grocery list I have ever seen. If this is the grocery list I'm glad I'm not eating at this household. Looks like this in on a blackboard. I found you on Digital wednesday! That's such an attractive grocery list!